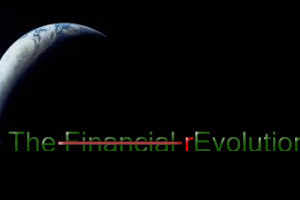 We are currently raising funds to professionally edit and publish the first short book of the Evolution Series - The financial rEvolution. This book outlines the fundamental issues with the financial system in an easy read approach through the use of a currently fictional business Named TFR corp. It also displays a grass roots action capable of changing the way we distribute resources and work in our society. The intention of the book is to start a movement that can help the world and every individual in it. The financial rEvolution is the first book in this series with the second book - The history rEvolution, well on the way to being finished. I will be traveling and promoting, first the go fund me then the book as soon as i can get it published. The webpage already has around 1800 subscribers and is growing rapidly and so i have a marketing base for the book already. It will cost approx $5000Aus to get the book edited/published/illustrated and distributed, we will be trying to put as much forward as we can towards this goal but would greatly appreciate any assistance that you can provide.